Football and commercials aside, the Super Bowl is all about the food. In fact, the average football fan will consume a day's worth of calories during the big game. According to Calorie Control Counsil, Americans will eat nearly 11 million pounds of chips on that Sunday alone. Executive Chef Arik Markus, of True Food Kitchen, has a solution for a delicious party snack that won't make you feel guilty the day after the big game. He suggests dishing up some Kale & Avocado Dip for you and your friends to snack on while cheering on the final two teams. Kale adds a healthy boost to your favorite guacamole. For a healthy boost to a game day favorite, add kale to your favorite guacamole. This easy to prepare and healthy dip can be served with crisp whole-wheat bread or carrot and celery sticks. Take several kale leaves and blanch them in salted water. Cook in a saucepan for 1 to 2 minutes then shock in ice water to stop cooking. Mince the kale leaves and add to your favorite guacamole. Mash avocados with lemon juice in a bowl, leaving some chunks. Gently stir in remaining ingredients and serve immediately. We love this idea of a healthy additive to a favorite dip or appetizer. Thanks so much for the great post! Now that's a lot of chips that we consume. Yikes! I love the extra dose of "healthy" in this dip. I could eat that any day of the week. I need to start putting kale in dip because this looks awesome. 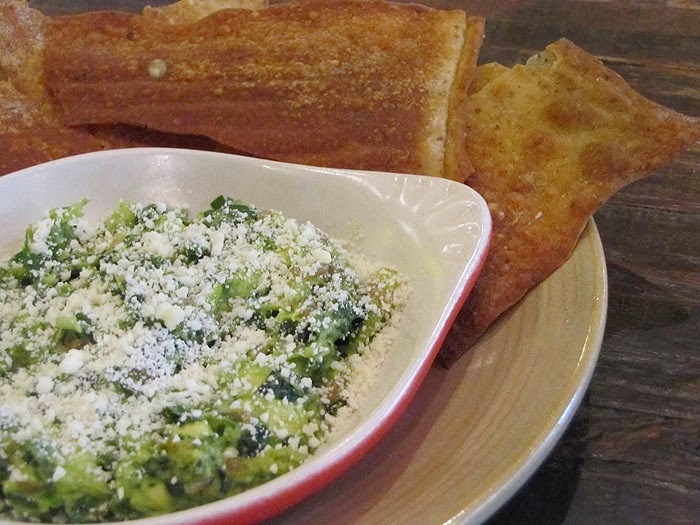 I adore True Food Kitchen and this dip is just smart! My brother loves both of these things so I bet he'd really enjoy this dip! Oh wow, this is so simple, so healthy, and I bet delicious. A must-try! Kale dip? What a great idea! I love that you combined kale and avocado....how delicious!